Genuine Apple iPad 4 (Retina iPad) right cellular 4G antenna and flex cable assembly. 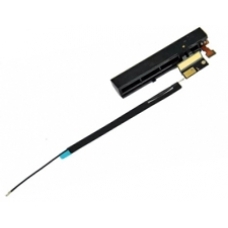 If your iPad 4 has poor or no 3G/4G signal reception, you will need to replace this antenna assembly part, we offer a genuine original Apple complete assembly allowing you to repair signal issues on the iPad 4. * Genuine Original Apple Part.